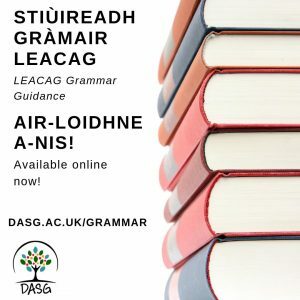 The DASG team at Glasgow University have now published the LEACAG Grammar Guidance on their website. This was developed in a collaborative project with Edinburgh University and Sabhal Mòr Ostaig. You can access the link to the guidance here.